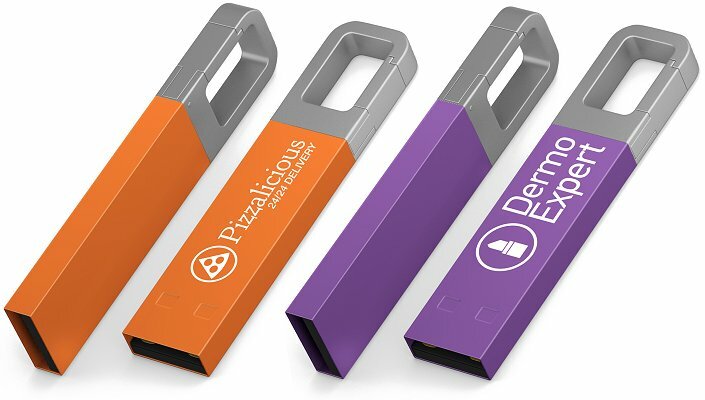 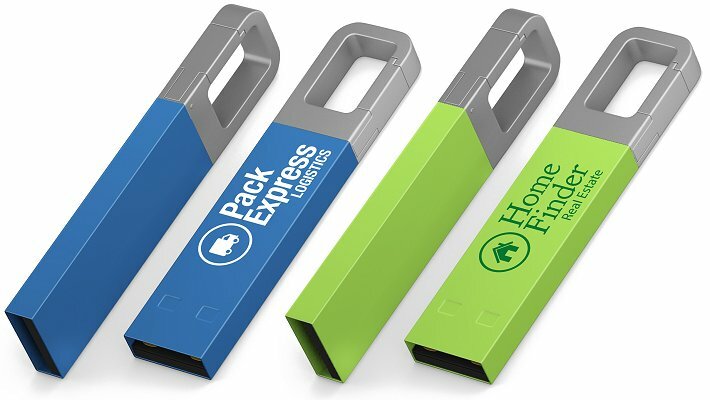 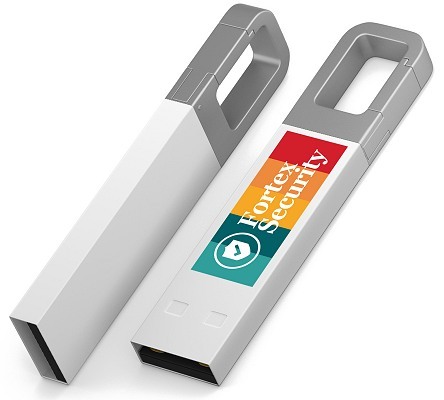 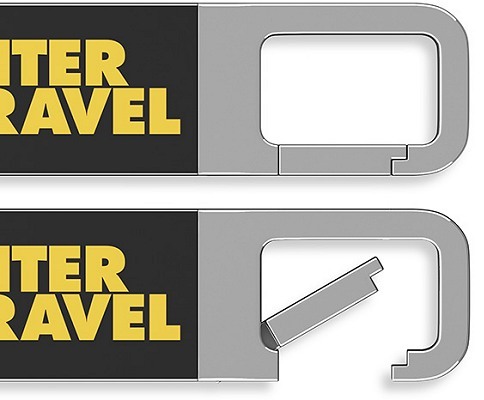 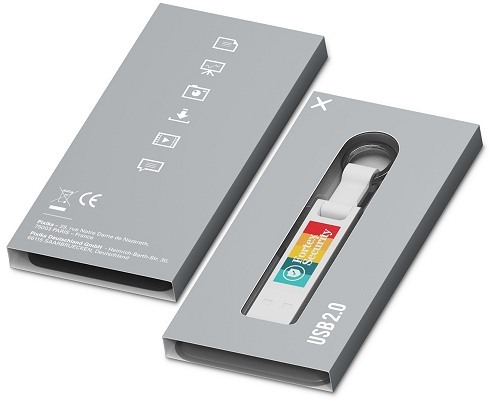 A branded flash drive with an innovative minimal design that is compact with no cover. 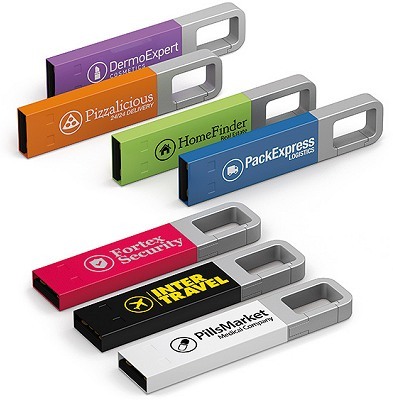 It is shock-proof, water-proof and dust resistant and contains a COB-USB flash drive. 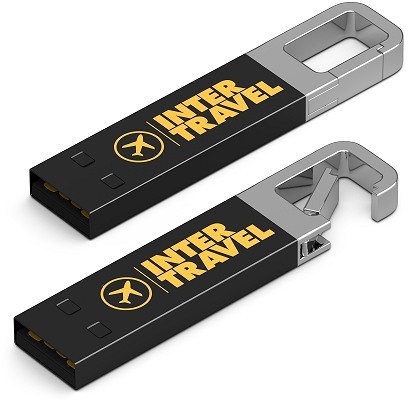 Built-in snaplink key chain to attach your USB drive to your keyring or handbag. 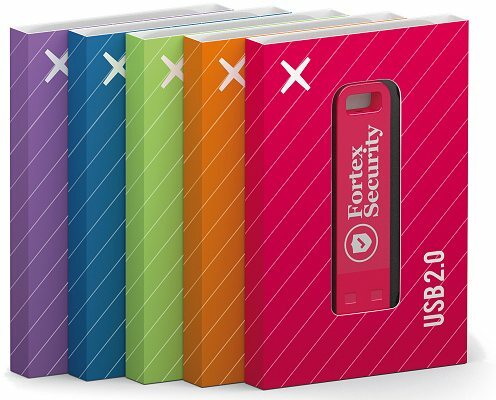 Available in 7 standard colours plus Pantone (for 5000+ pieces).